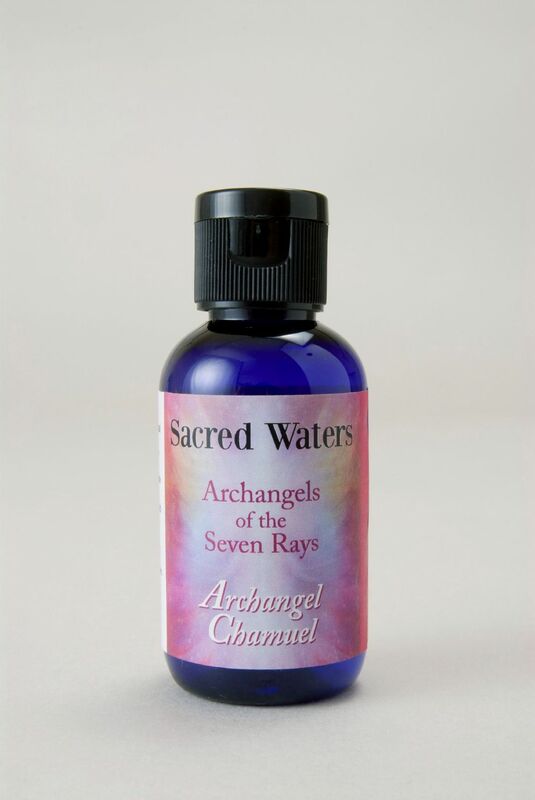 Embrace the enchanting energy of the Sacred Waters of Archangel Chamuel who serves on the pink ray of unconditional love and nurturing. Embrace the enchanting energy of the Sacred Waters of Archangel Chamuel who serves on the pink ray of unconditional love and nurturing. He helps us to open our heart centres in order that we can give and receive love freely, assisting all our relationships but especially in times of conflict. He brings comfort, support and compassion in situations which may raise anger and helps us appreciate the love which already exists. A magical formula containing the aroma of Basil, Narcissus and Pink Grapefruit. Floral Water. Holy Water. Gem Essence of Rose Quartz.